It begins with a drip. Then silence. Another drop. Irregular, both in pitch and distance apart. Bubblish, sloshing. Chiming, ringing notes skip over the swashing ripples. Pipes and people, all passing through. And throughout, continuously, the sound and sensation of running water, or, at last, the evocation of running water. The sounds are fluid, metaphorically where not literally. It’s a graceful, natural sound. But beneath the organic, idyllic surface lies a serious and darker undercurrent. Initially inspired by an expedition to the Tujuksu glacier near the Kazakh city of Almaty, Gletschermusik began with the recording of sounds of the glacier, at an altitude of 3,500 metres, melting. Many artists would have been content to have left it there: field recordings can be fascinating in themselves, and Geir Jenssen’s Stromboli – recorded at the edge of the crated of the bubbling volcano – stands as one of my favourite field recording releases of all time. The recordings, made by the placement of highly sensitive microphones in the crevices of the glacier, proved to be just the beginning, though, and the project would evolve through a succession of life performances and an international conference. With climate change being perhaps the greatest challenge to face humanity at any point since prehistory, it’s laudable to find artists engaging in such a way, without taking a messianic stance. Gletschermusik is a project born out of a genuine desire to raise awareness and prompt discussion. Be honest, who even knew there were glaciers in Kazakhstan? And yet, as far back as 2003, there were reports emerging that the glaciers in the former Soviet republic were melting at an unprecedented pace. It’s a project that provokes thought. Subtly, and intelligently, the project reminds us that water, and the planet, is mutable. 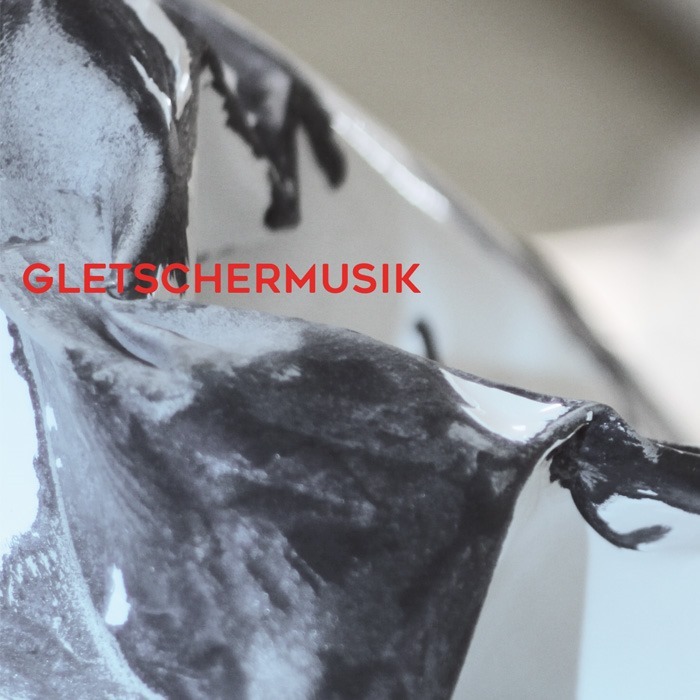 Gletschermusik (literally, ‘glacier music’) takes the sounds and images of the melting glaciers as its inspiration, but ventures out in various different directions. As such, this is a work which has been composed and performed rather than belonging to the world of field recordings. Sonically, it’s a wide-ranging electroacoustic set. While ‘Winter into Spring’ highlights the small changes the seasons bring, in relative terms, the album as a whole is concerned with the long-term changes and the effects of global warming. ‘Eiskritalle’ introduces dynamic drumming, while ‘Geologdun Yry’ takes the form of an acoustic folk song. It is, by its nature, a highly personal response to the natural world and man’s difficult relationship with his environment. Consequently, the individual pieces do not necessarily evoke glaciers, or if so, not in any conventional sense in terms of the languages of music or criticism: there are no icy synths or interminable crawls to be heard on Gletschermusik. Similarly, the drama of such cataclysmic ecological and environmental change is not expressed in dramatic, tempestuous crescendos that boom foreboding. Gletschermusik is remarkable for its delicacy, its easy musicality. It’s rare and also extremely welcome to find a work which is conceptually heavy but handled with such lightness.